Lifestyle advertising photoshoot for Rio Tinto in China. It is 3.30 pm on the Lofoten islands. The sun has set almost an hour ago and the moon rising between two snow mountains reflects its bright light onto the icy beach of Flakstad. 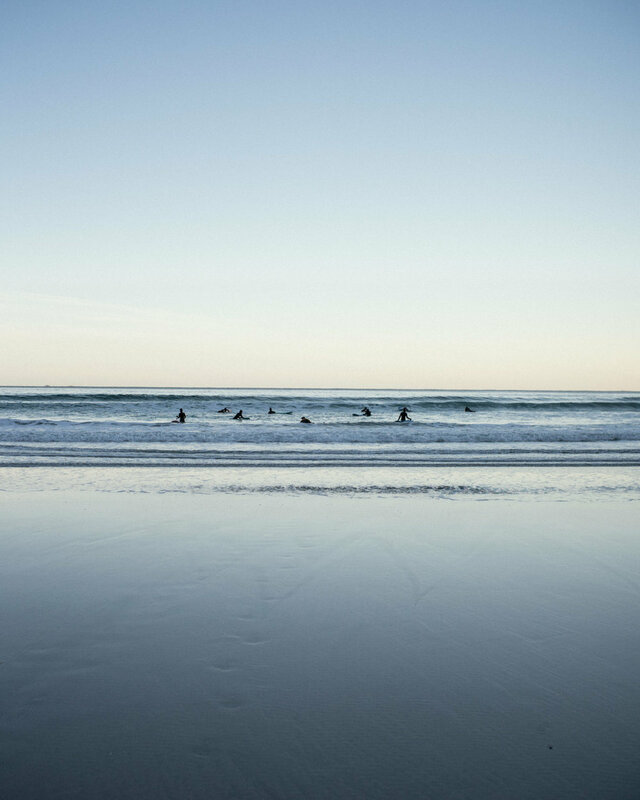 Even though we are hundreds of kilometers North of the Arctic Circle , the most popular activity here is surfing . The Lofoten islands are famous worldwide for their scenic fishing villages surrounded by snow mountains, icy bays and northern lights. 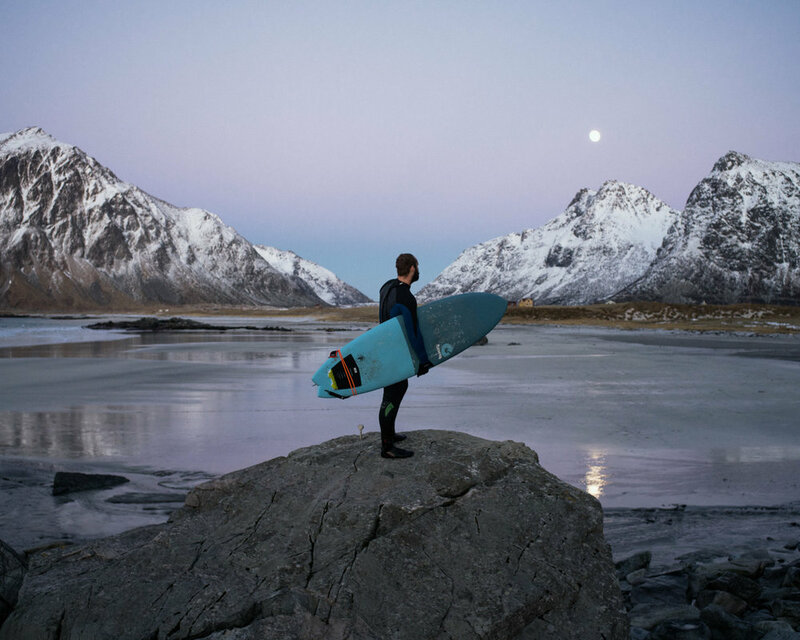 Although it is cod fishing that has traditionally played the dominant role in the islands’ history a local surfing scene has emerged in the little bay of Unstad, cut off from the rest of the island by mountains. Nowadays, what used to be the village school has become a surf camp welcoming adventurers and professional surfers from all around the world coming to defy the best waves of the Arctic. I traveled to the Lofoten in the winter of 2017 to work on this series. Please contact me at timfranco@gmail.com or trough my agency directly at matt@instituteartist.com. The story is available here in a complete set on The Institute Story page. This month issue of the Silk Road magazines feature a story about up & coming fashion designer in China that I have shot . As I often work with this magazine, each portrait was done on my old time favorite Hasselblad Medium format Film camera. Here is a couple of the portrait as well as the tearsheets. My work from Metamorpolis was selected by the jury of the Circulation(s) festival this year. 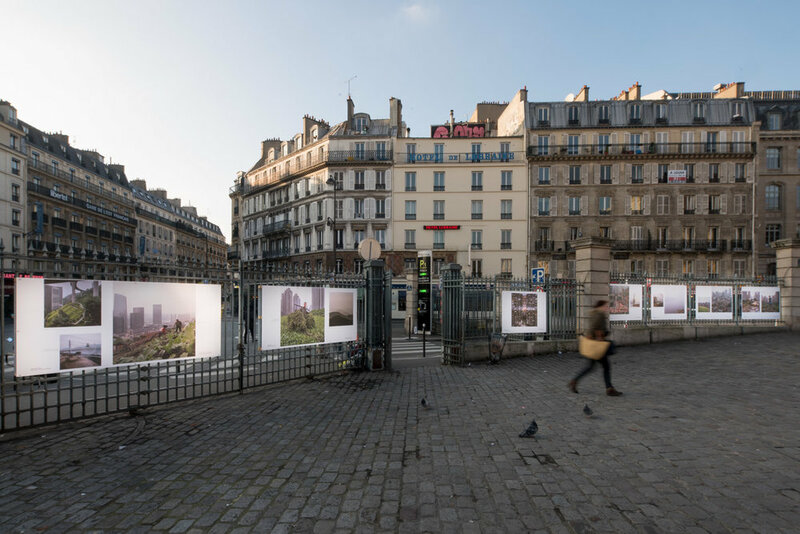 It was a great honour , not only to be part of a great group of artist exhibiting at the incredible 104 SPACE in Paris but also to have a special exhibition of 28 photographs at an amazing outdoor location in downtown Paris - Gare de l'Est. The photos will be exhibited until the end of February. All the photos from this series are available for prints and magazines through Institute. Please contact me directly for other details at timfranco@gmail.com . Life Magazine in China did a great feature on Metamorpolis in their september issue . Check it out, available in China mostly everywhere . Tim Franco is a Asia based photographer, currently based in Seoul, South Korea, but traveling weekly over the east asia region on assignment. Between assignments, I am spending some good and deserved rest time in my new home in Seoul / South Korea. But i can't help myself to pick up the camera and shoot what attracts my eyes. Recently I discovered this really vintage amusement park on a small island in Incheon, a one hour ride away from the capital city by subway. 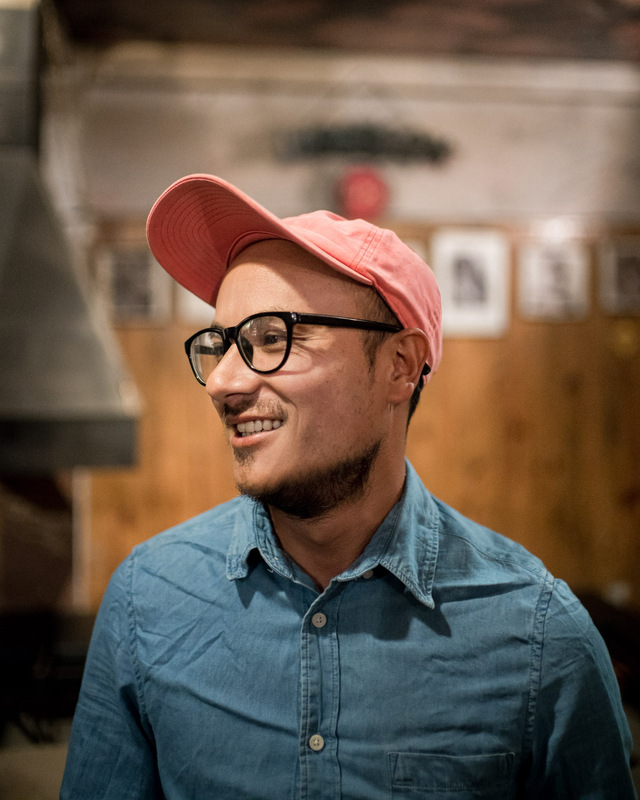 Tim Franco is a documentary & commercial photographer now based in Seoul South Korea and taking commercial photography assignment in the whole east asia region. I have recently worked on a small fashion shoot for a local Shanghai Designer. The set up was quite simple and I have decided to shoot using a medium format film camera. Here are some of the result of the work produced for the 3 outfits.